In the world of big data, there is much pressure for companies to focus purely on data-driven strategies. But those that fail to consider how design influences consumer impressions run the risk of losing customers even before they’ve set foot through the (often digital) door. Instead, organisations need to evolve their business mindset from focussing solely on the numbers to a joint focus on both data and design if they are to continue to compete in the modern market. Great design tells a story. Communication is a vital part of any business, and it’s true that a picture speaks a thousand words. Your audience and your potential customers need to understand what your organisation is doing and what it’s all about across every touchpoint – from your website to your social media accounts, email communications, and physical locations. Organisations that can’t achieve this fail to generate leads and thereby drive sales and growth. Visuals are often the most striking way to leave a lasting impression in the viewer’s mind simply because they are so immediate. 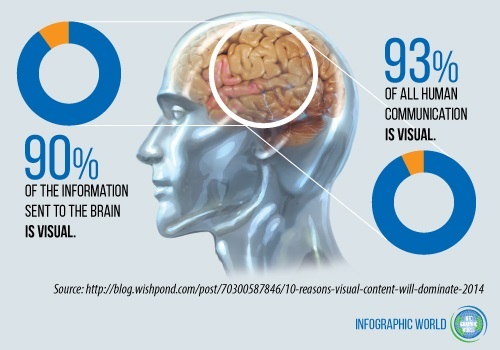 What’s more – and perhaps more importantly – the human brain processes images 60,000 times faster than it does text, and 93% of all human communication is visual. And this is precisely why great creative design is so important in business strategy. A well-crafted design concept should flow seamlessly across all of a business’s marketing materials – from to logos to packaging, and from websites to memes to promotional images on blogs and social media posts. Good creative design will help you create a strong impression, build a brand identity, convey key information, narrate your story, and build consumer trust. Adobe calls this the Design Advantage, recognising the fact that design-driven companies retain the best talent and outperform the competition in terms of revenue growth. Why? Because, by focussing on visual engagement from the outset, design-driven companies are able to attract more customers with eye-catching content earlier in the lead lifecycle – and today, this is happening more and more online, and on social media in particular. Indeed, as the digital age gathers even more momentum, content marketing and social media marketing are becoming increasingly important tactics that companies must embrace if they are to continue to engage with their markets. And it must be remembered that social networks have become visual platforms, first and foremost. Even Twitter, which began life as a platform for posting short written messages, is now awash with videos and imagery as the network has gone through countless updates over the years. This has all led to 71% of companies now reporting that they create 10x the number of content marketing and social media marketing assets than they did just a few years ago. Customers want – nay, expect – amazing content experiences from the brands that they engage with online. And these experiences start with great creative design. And here’s a stat that proves it – according to figures from the Design Management Institute, design-driven companies have outperformed the S&P Index by 219% over the past ten years. No matter the asset, good creative design will combine words, images, typography, and, where relevant, good page layout to arrive at the desirable outcome. It’s no coincidence that the internet has evolved from its text-centric roots into an image- and increasingly video-centric network. Your website may have a great story to tell, but no one’s going to ever want to learn about it or read your About Us page if you don’t manage to engage your online audience in a compelling – i.e. visual – manner. Images communicate even complex messages quickly, concisely, and memorably. But the images that you use should of course be relevant to your brand and be creatively designed to catch the eye of your target audience wherever they discover you. 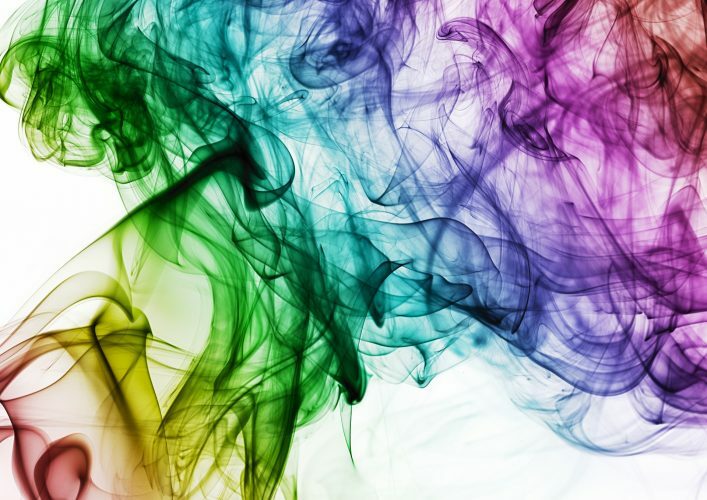 Creative design is more than just aesthetics, however, and it goes beyond creative concepts or graphical illustrations. Indeed, the whole purpose of great design is to convert the process of creating beautiful and compelling visuals that your customers will love into actual business results, and indeed a brand. In order to do so, companies must adopt a design-thinking mindset, and begin to think – in visual terms – exactly what it is that differentiates them in the market, and how this can be communicated by creative design. It may be the case that you have to outsource a creative design team in order to realise the vision. But, no matter whether you are able to start aligning creative design with business strategy internally or need to call in outside help, the important thing is that you start digging deep down into what the essence of your brand and your product really is, and from there, tell your story visually across everything from your packaging to your website and social media feeds. Brands that utilise creative design to its fullest potential are able to immerse customers and prospects within a bigger, emotionally-centred idea that will be reinforced at every stage of the customer journey. Remember, a brand is more than a logo, a strap-line, a product, or website – it’s the core identity of your business, its personality, and a fusion of all the values, standards, ideals and characteristics that your organisation embodies. In essence, brand expression is not just what your company says or does, but how you make your customers feel. Let’s look at an example – Innocent. 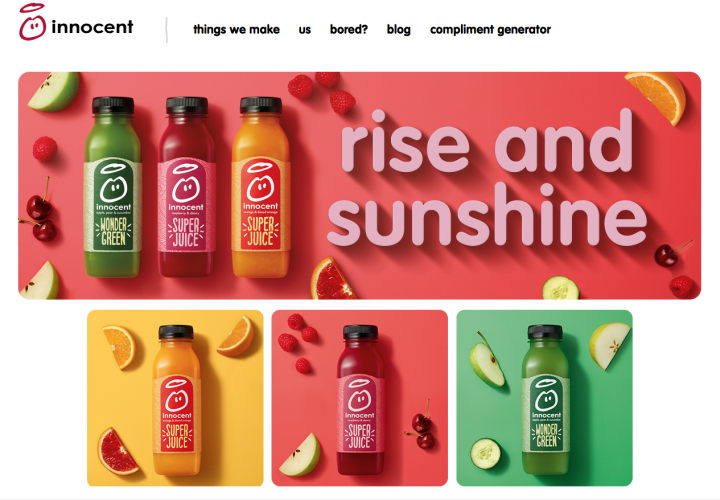 From its playful packaging to its childlike logo, and from its brightly-coloured website, blog and social media posts to its commitment to sustainability and transparency – Innocent is a soft drinks company that has a true understanding of its brand identity. And it knows how to use creative design to convey this message across all of its assets. Good creative design tells a story. What’s more, when it is consistent and present across all of brand’s touchpoints, it creates unification and an instant dialogue with prospects and customers as they encounter the brand in both on- and offline environments. 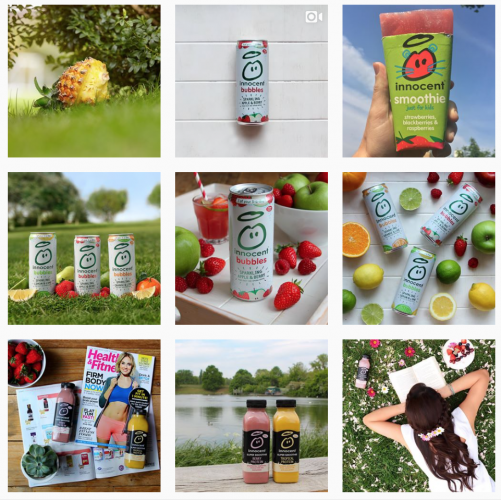 Innocent, from its packaging to its website, blog, Instagram, Pinterest, and Twitter uses creative design at every turn to tell its story and create one, unified brand identity that builds emotional connections with customers at every turn. Design, indeed, is at the heart of its business strategy, and the company uses it to create unforgettable experiences for consumers no matter where or how they engage with the brand. It’s no secret that visual content dominates social media – which is why great creative design is essential in order to compete. Benefit Cosmetics’ Instagram page is chock full of stunning posts, each of which are quite simply works of art. 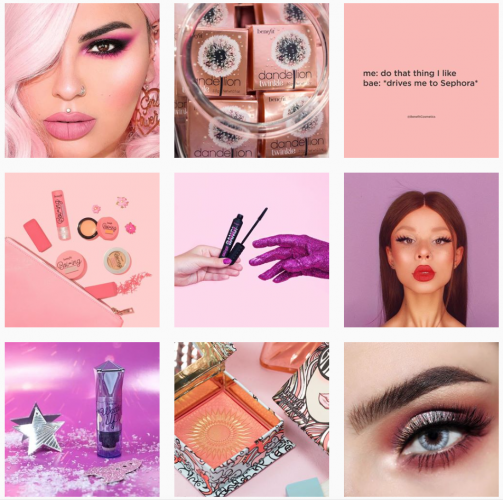 The creative design team are clearly well-versed in the psychology of colour and branding, and choose a palette of pinks and purples, creating appeal as a “feminine” brand, and its memes speak directly to its core audience. These images are simple, professional, and build the Benefit Cosmetics brand identity in no uncertain terms. Today, consumers are constantly confronted with an overload of information. Great creative design is how forward-thinking businesses are standing out. Design should be experiential, unifying across an ever-expanding set of touchpoints, brand-lifting, and, most of all engaging. Putting creative design to work for your organisation will enable you to achieve a big lift in your brand’s performance, connect with your target audience, leave a lasting impression, and drive meaningful business results. If you need help forming a creative design strategy for your business, get in touch with us here at Cope Sales & Marketing – www.cope-salesandmarketing.com. We’d love to hear from you and very happy to chat through your requirements.